On September 12, 2006, “Rounder/Universal” labels released “Half the Perfect World”, the fourth Madeleine Peyroux studio album. It was recorded in April 2006, and was produced by Larry Klein. 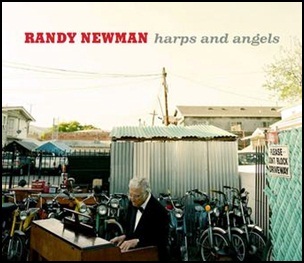 On August 5, 2008, “Nonesuch” label released “Harps and Angels”, the eleventh Randy Newman studio album. It was recorded in 2008, at “Recorded at Sunset Sound Studios” in Hollywood, “The Newman Stage”, “Twentieth Century Fox Studios” in Beverly Hills, and was produced by Mitchell Froom and Lenny Waronker.